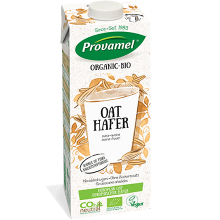 Pour the Provamel Soya with Oat Alternative to Yogurt into a bowl. Chop the figs into small pieces, stir into the bowl and place to one side. In a mixing bowl, combine the flour, salt and cream of tartar with the Provamel Oat Drink. Stir until you have a smooth pancake batter. Coat a frying pan with plant-based alternative to margarine and melt over a low heat. Place 1 tablespoon of batter per pancake in the pan and press gently to flatten. When the surface of the batter is cooked, flip over to fry the other side. Serve warm and top with the fig mixture. You can cook 4-6 pancakes at a time depending on the size of your pan.